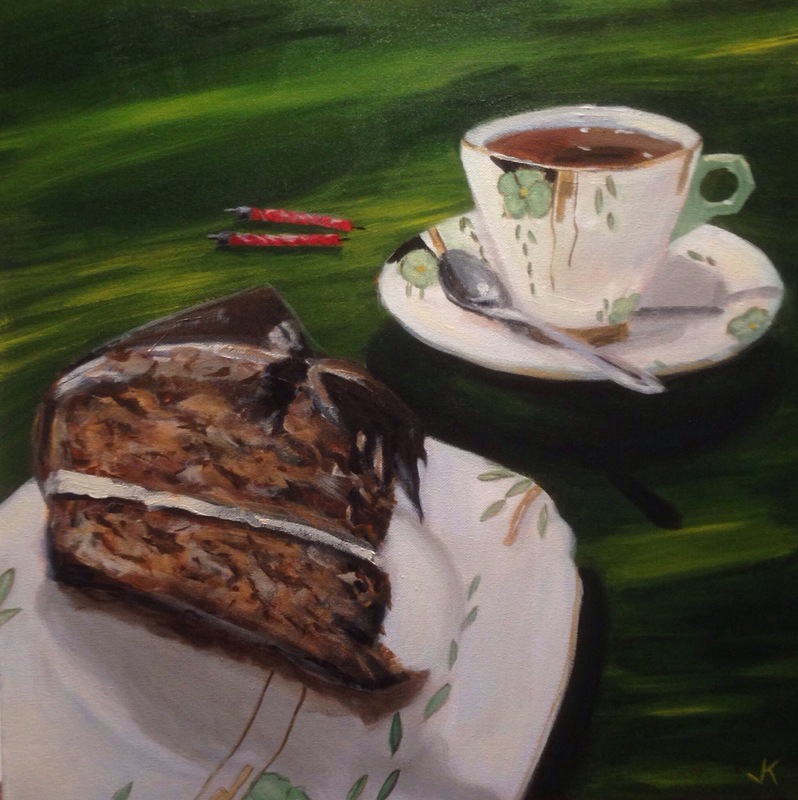 There are numerous cake paintings in my current exhibition at Breathing Colours in Balmain. Hazelnut cake and Art Deco fine china – yum! On show until Sunday.